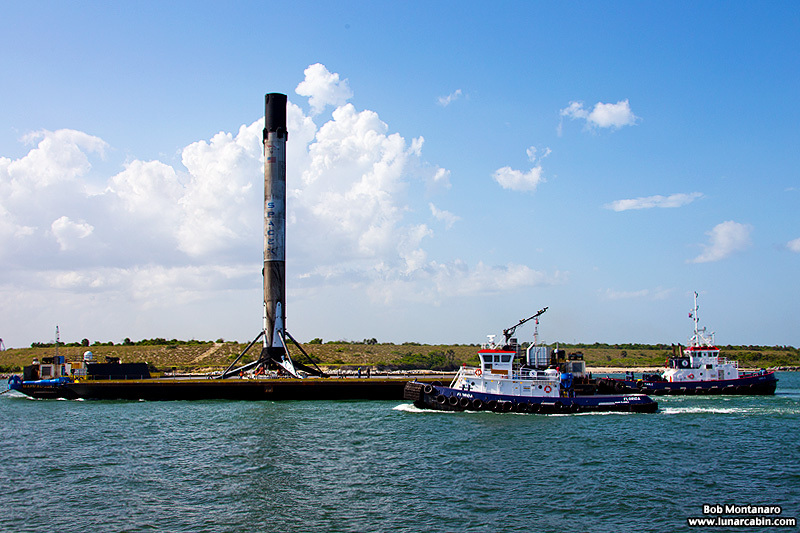 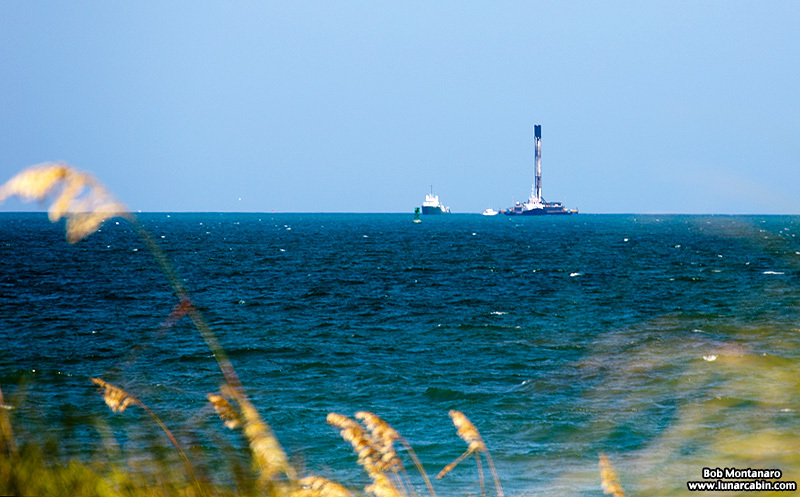 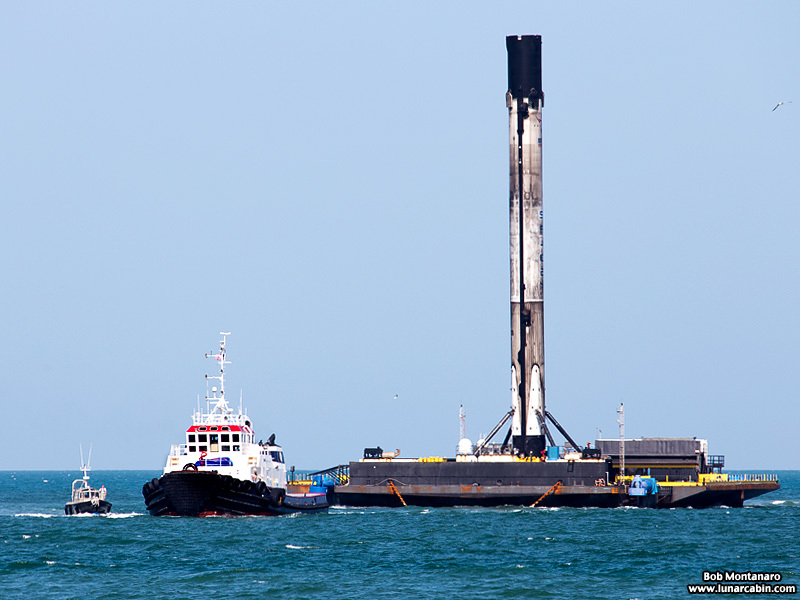 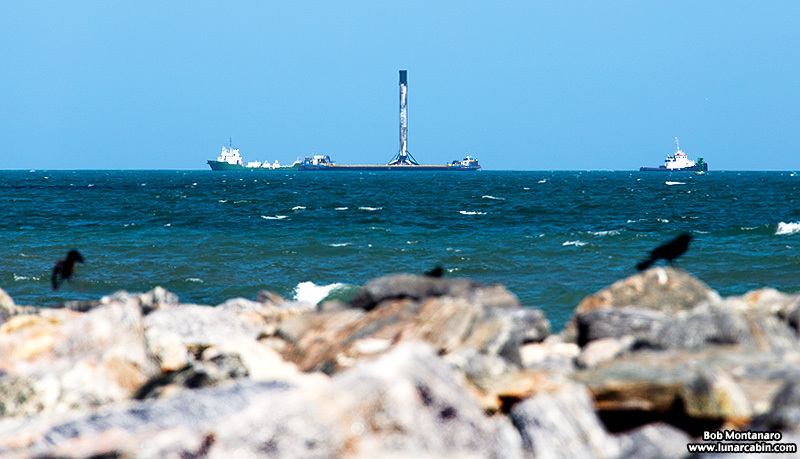 The SpaceX Falcon 9 Block V Merah Putih first stage returned to Port Canaveral aboard the “Of Course I Still Love You” (OCISLY) droneship just after 5:00 p.m. on 9 August 2018. 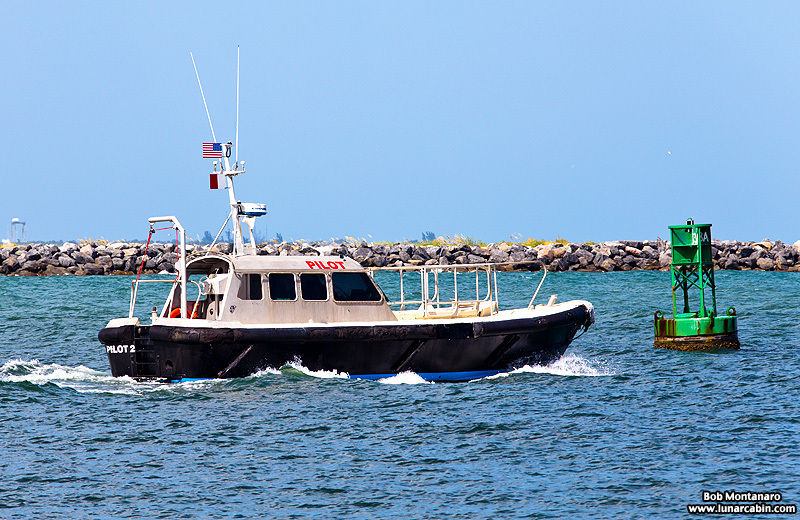 The pilot boat heads out to meet the returning OCISLY and its tugboat to guide them back into Port Canaveral. 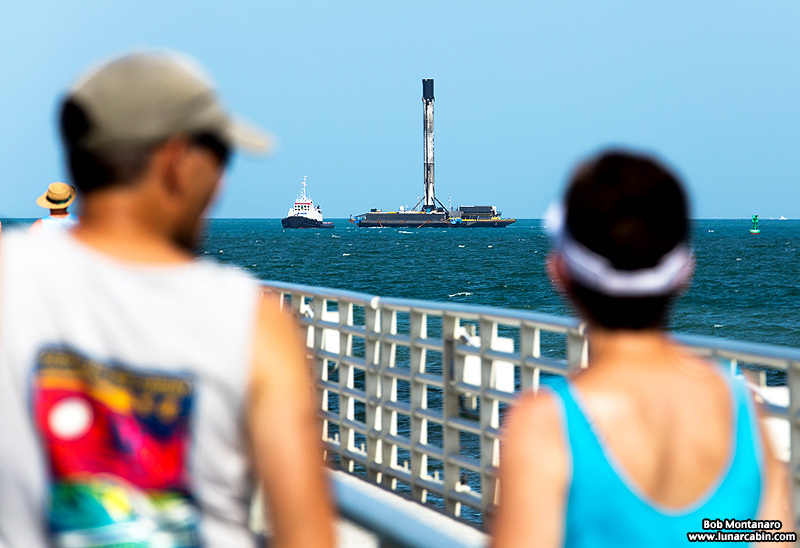 The passengers aboard a departing cruise ship get a good look at the returning booster. 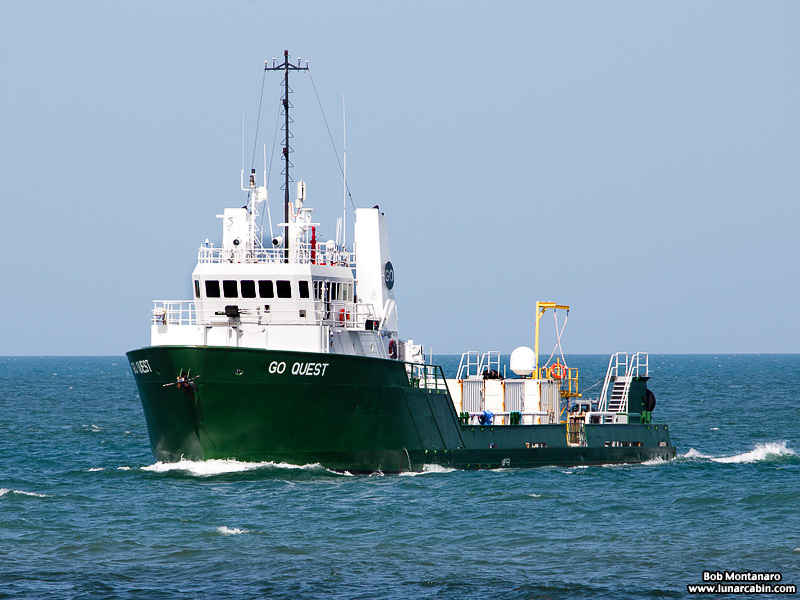 The Go Quest booster landing support ship. 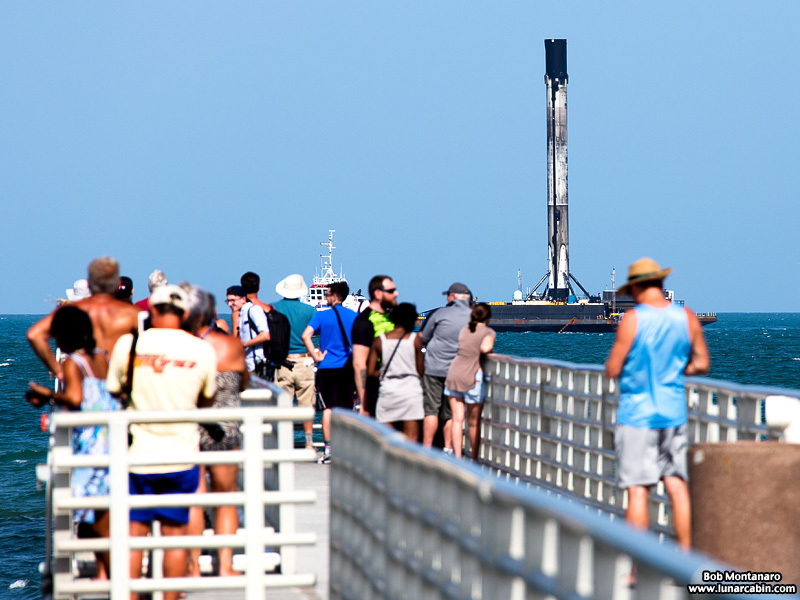 Reporters and SpaceX fans gather to watch the return to Port Canaveral. 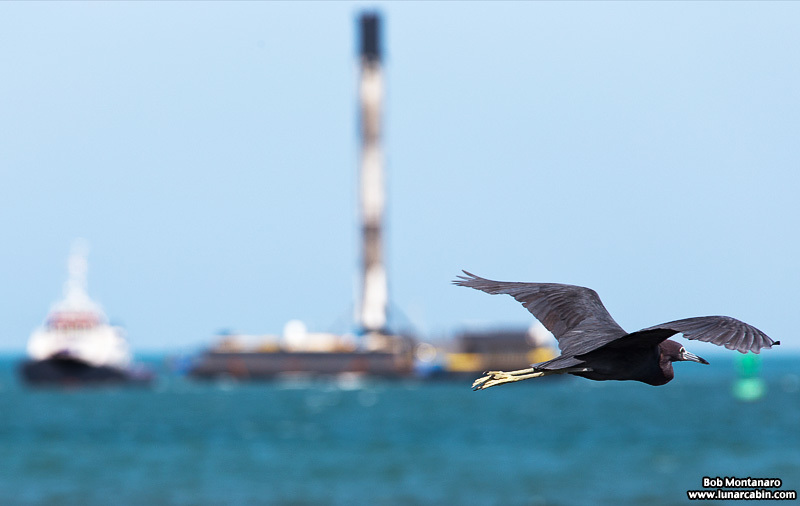 A Little Blue Heron gets in the act. 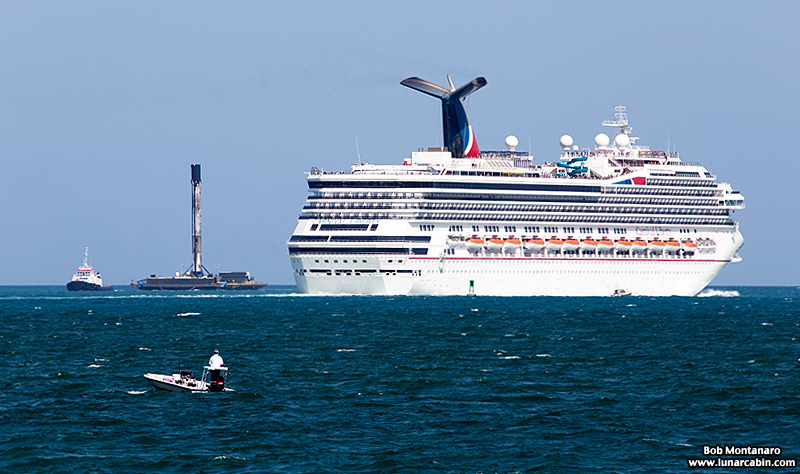 The pilot boat pulls alongside to transfer the pilot aboard the tugboat. 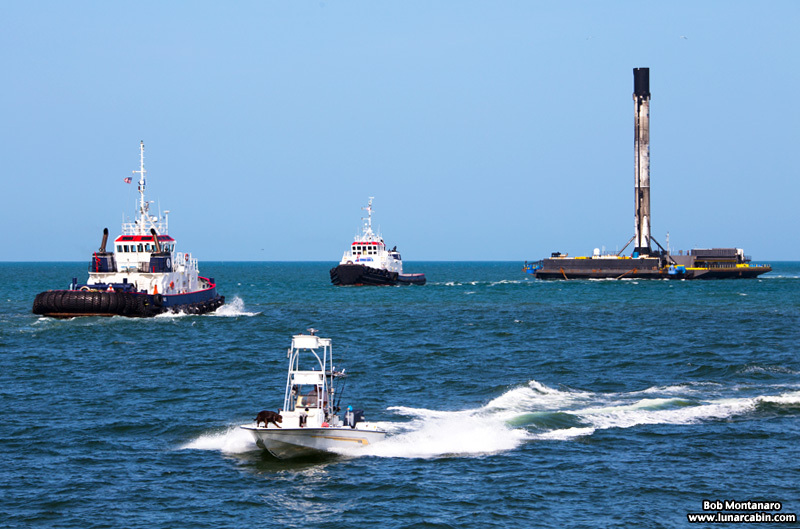 More tugboats from the Port arrive to assist. 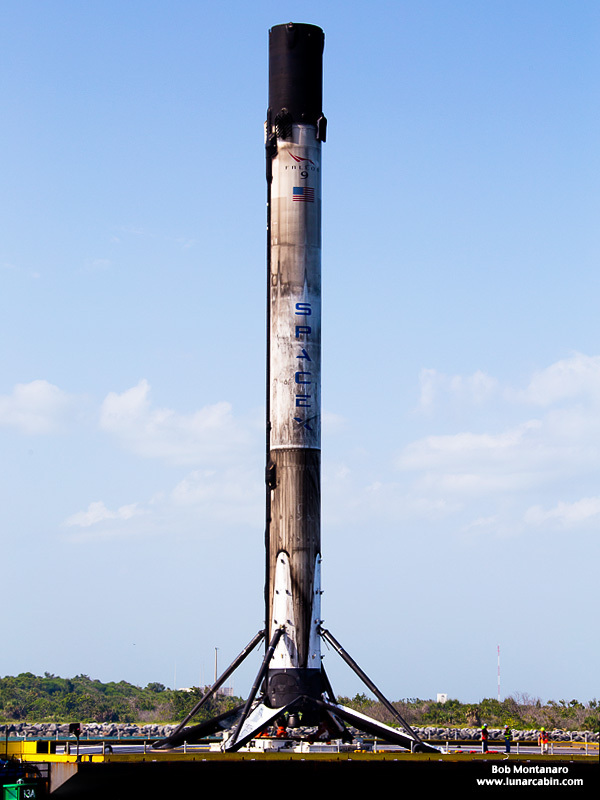 The booster displays quite a covering of soot from its two flights to the edge of space; first to launch Bangabandhu Satellite-1 and then, secondly, this flight to launch the Merah Putih Telkom-4 satellite. 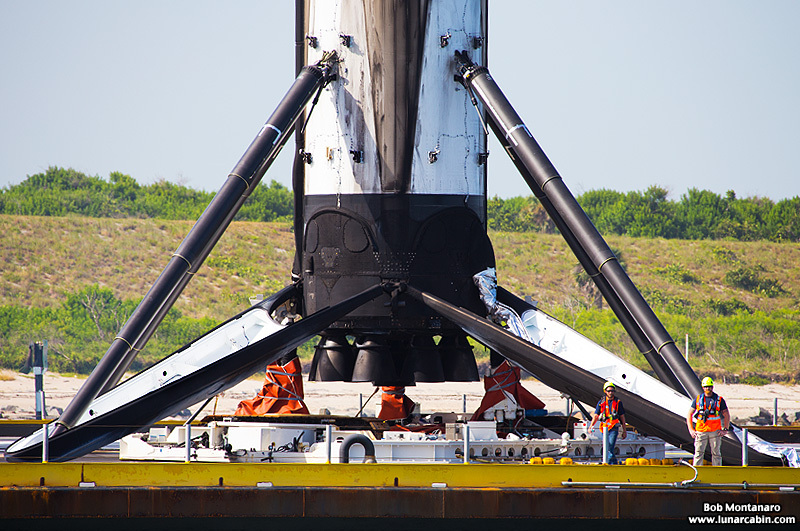 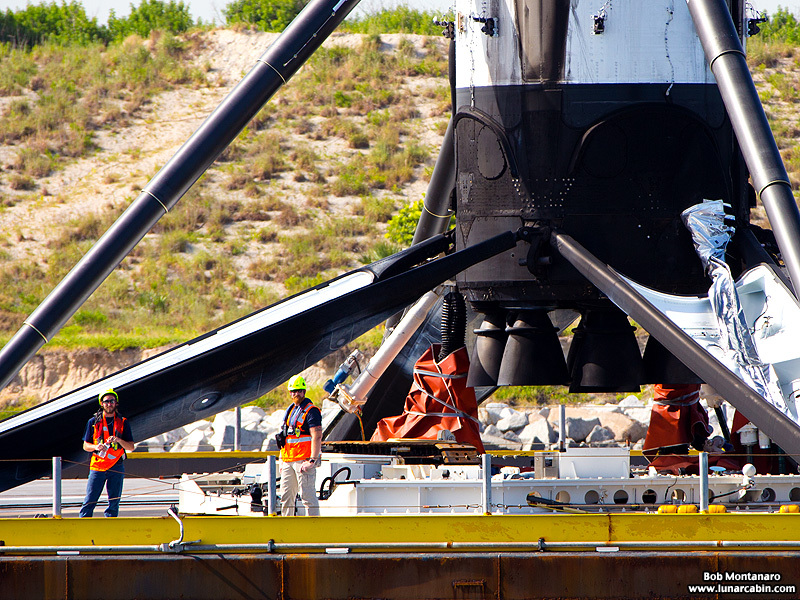 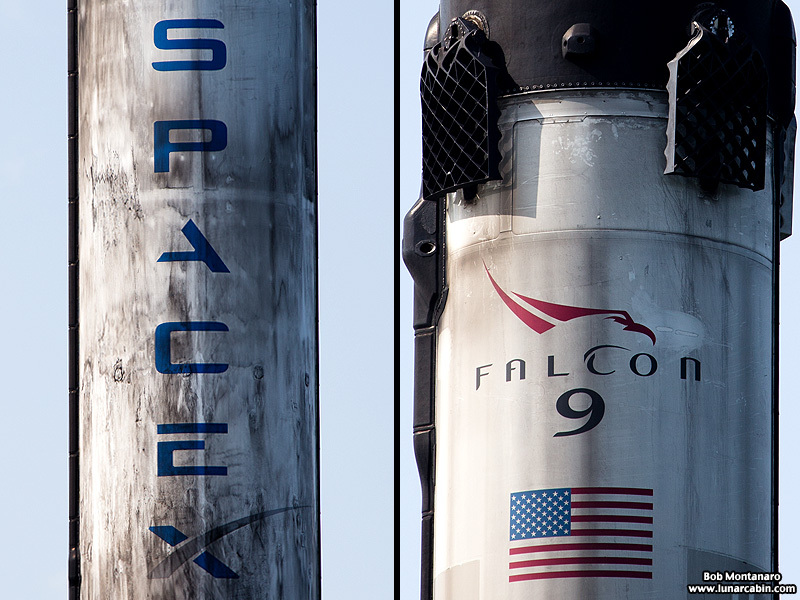 Two men give a sense of scale to the base of the rocket with its clustered Merlin engines and landing legs deployed. 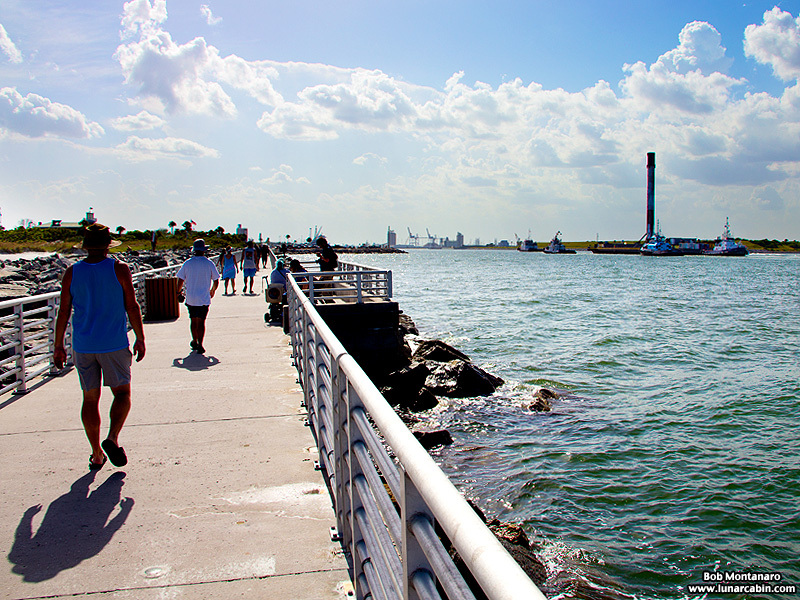 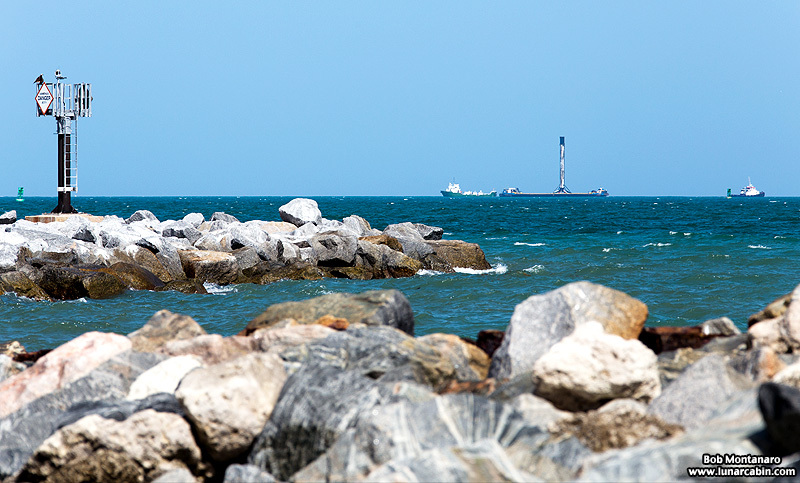 The rocket heads into Port Canaveral against the glare of the late afternoon Sun.